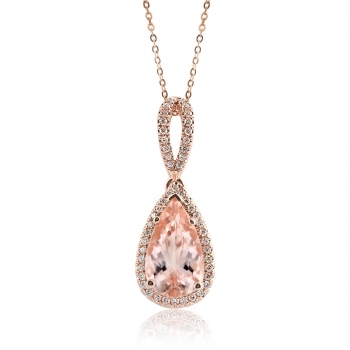 A truly sophisticated pendant, featuring a 2.01 ct pear-shaped Morganite of exceptional translucence. A fishtail set diamond halo adds sparkle. Set in 14K Rose Gold. Chain not included.